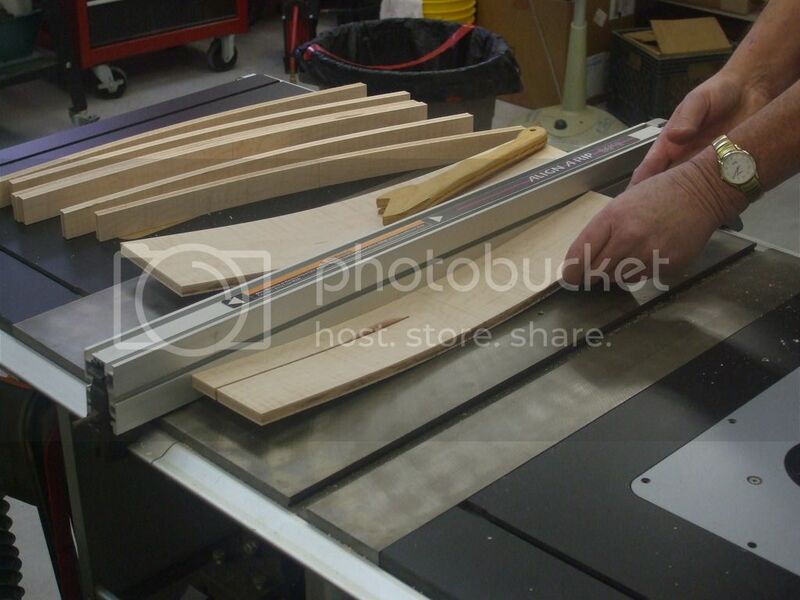 WWA Info Exchange • View topic - Bent lamination dresser pulls, process and results. Bent lamination dresser pulls, process and results. 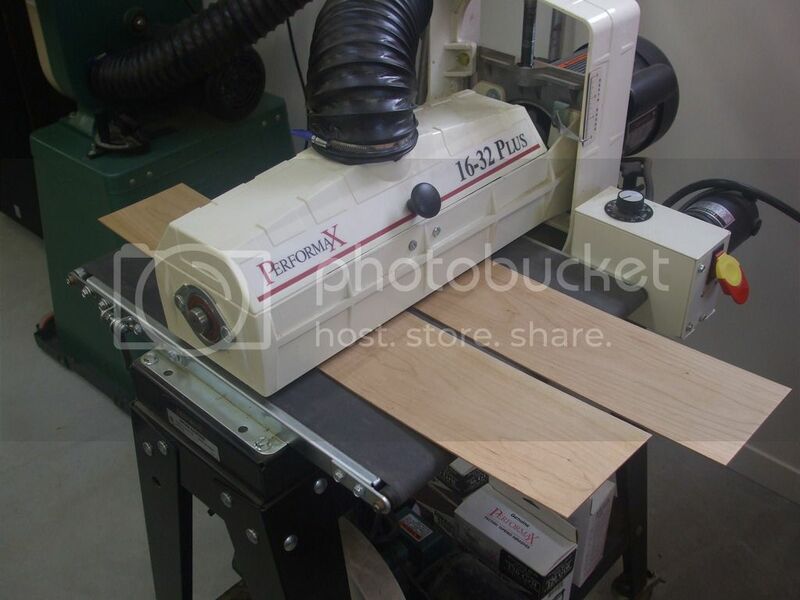 Post subject: Bent lamination dresser pulls, process and results. 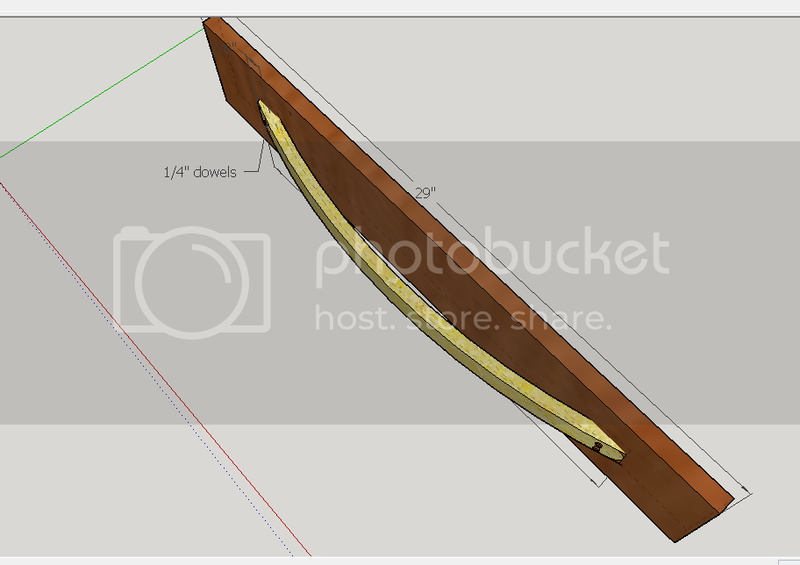 Several months ago I shared a design idea for bent lamination dresser pulls. I have some process and results photos to share. I begin by creating templates, bending form and shop sawn veneers of cherry and curly maple. 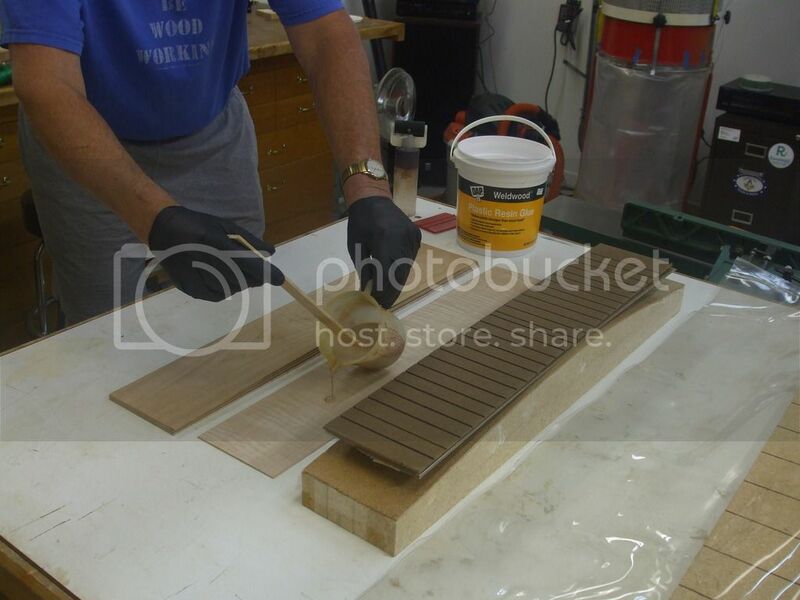 The veneers are glued up using weldwood plastic resin glue and a vacuum press. The laminations are scraped, sanded and jointed on one edge. 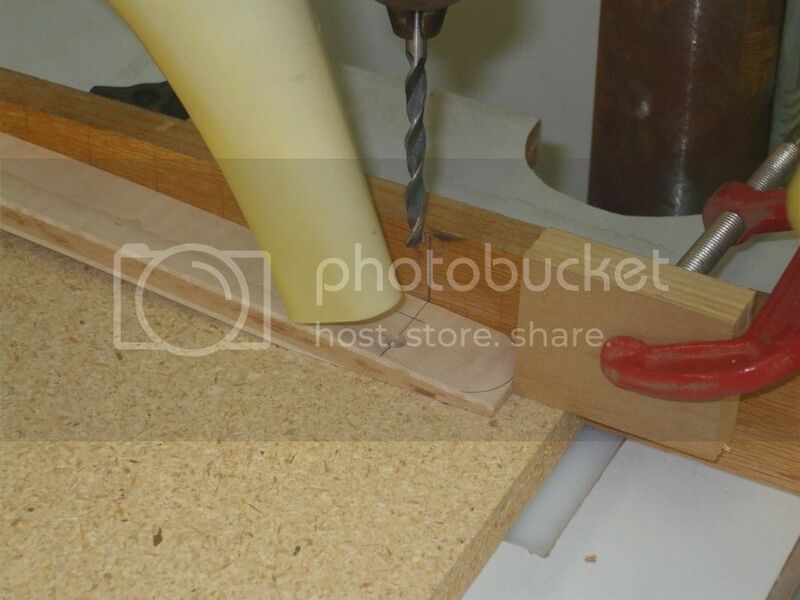 I created a curved support jig for cross cutting the bent laminations. 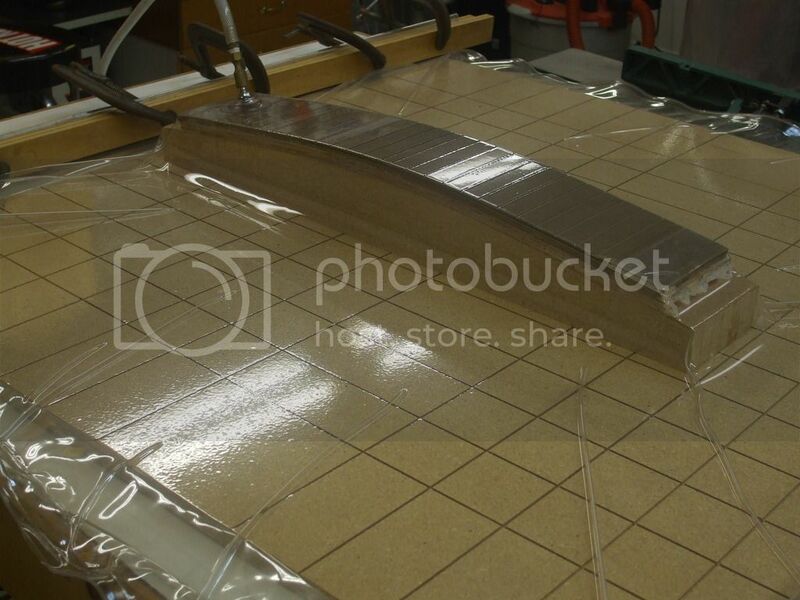 It comes in handy for scraping and sanding the inside of the curved pieces too. The pulls will be attached to the drawer fronts with contrasting walnut dowels and a flat long grain surface. 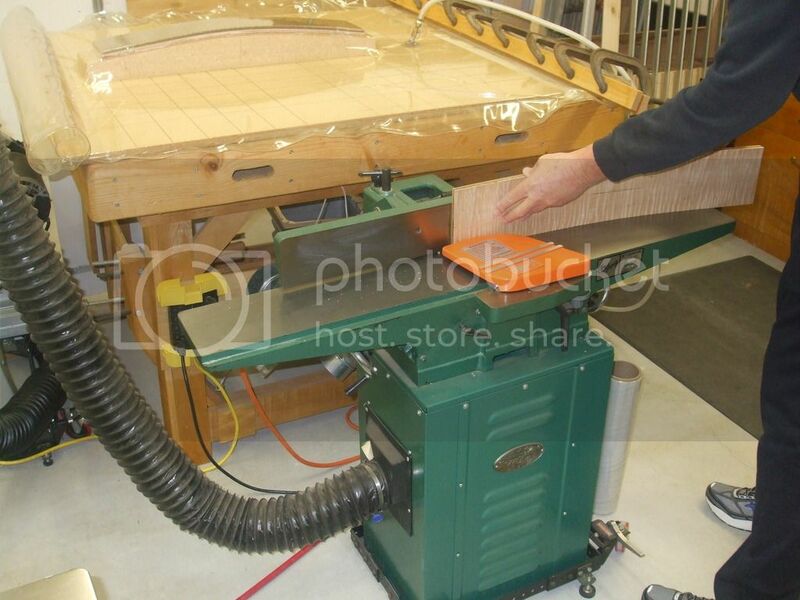 A curved jig is used at the table saw to trim away the ends of the curved pieces to create the flat surface needed for attaching the pulls. 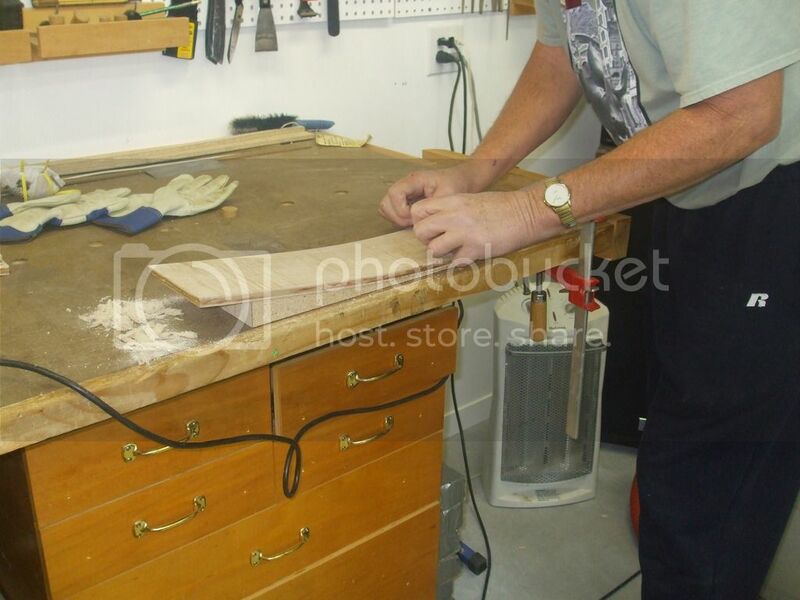 Once the pieces are cut to dimension I drill ¼” holes for the dowels. A fence and stop block ensures accurate repetitive drilling. 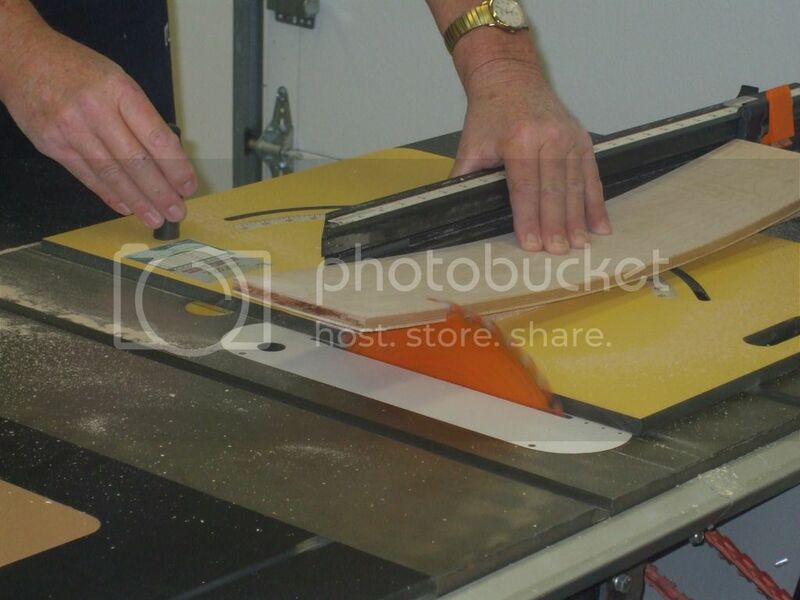 The ends of the pulls are rounded over using a disc sander. With all the parts pre sanded the pulls are glued to the drawer faces. I am satisfied with the end results and have achieved the look and functionality I envisioned. I created two sizes of these pulls. A narrow 7/8” single dowel and a wider 1 ½” double dowel version. The 7/8” version is shown below on what will be the drawer faces for the convertible changing table I built years ago. 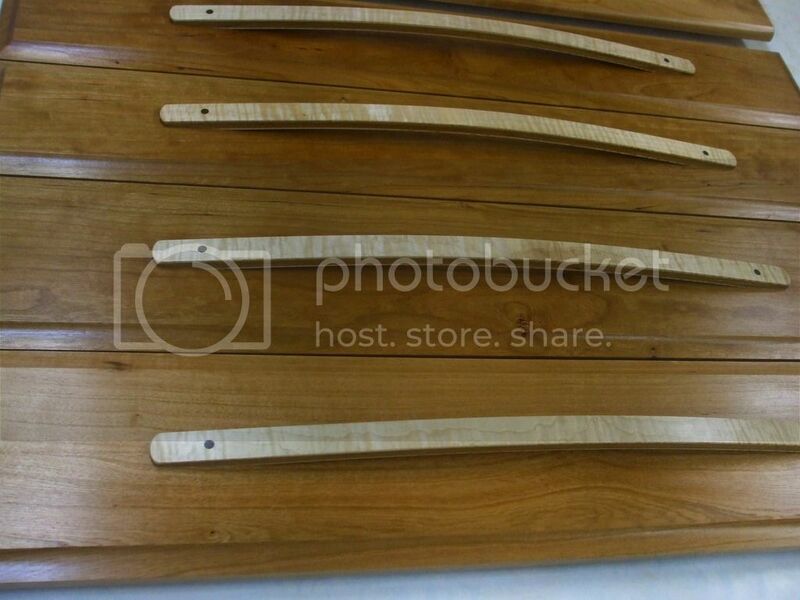 Post subject: Re: Bent lamination dresser pulls, process and results. Nice work! Thanks for sharing the progress photos.